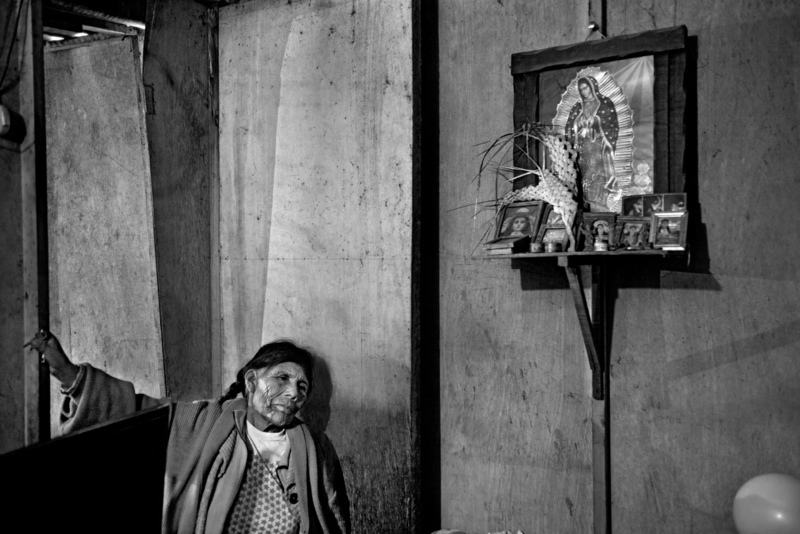 Nicolasa Chipana, 67, comes from Puno region, and has been living in Lima for thirty years with her son's family. He is a driver for a private company and his wife stays home to take care of their two young children. Nicolasa complains about living conditions in Pamplona Alta but doesn't even consider the idea to go back to the countryside because her son lives here and no one would help her in the home village after 30 years of absence. Nicolasa "This wall is sensless and divides us. We, as poor people, are seen as thieves. That is way they put a wall to protect the rich people". Lima, Peru.